If you’re looking for a huge comfort upgrade for your bed but can’t afford a new mattress look no further than the Topper by Panda! 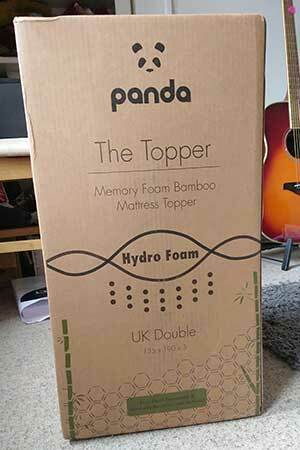 The Panda Mattress Topper is the perfect way to make your bed heavenly without breaking the bank. Now I’m going to shock you here. But seriously, Panda Life is a British company looking to change the way we think about bedding by using super comfortable bamboo fabric (The Panda thing makes sense now!). They wanted to create Stylish designer bedding that was also good for the environment then in the backwoods of southeast Asia they found the 100% bamboo fabric and fell in love. Since then they’ve gone on to create some of the best bedding products around including pillows, eye masks and of course a mattress topper. So let’s take a look at their topper and check out what’s inside. The main ingredient is, of course, memory foam, the same memory foam in the Panda Pillow. 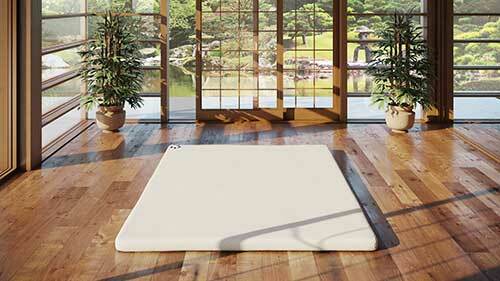 Memory foam is really comfortable moulding to your body and giving your great support along your back and your neck. Really comfortable usually memory foam can get a bit hot, which if you (like I am) are a hot sleeper then it’s not much use. Hydro Foam is a special blend of memory foam and cooling gel which helps regulate your temperature while you sleep and stops you getting too hot. But they’ve gone one step further than that and wrapped it all their signature bamboo cover. Bamboo is one of my favourite materials, it’s really eco-friendly because you just chop some off and it regrows without replanting and it cleans the air better than most trees do. And it’s temperature controlled so it’s really breathable and stops you overheating. 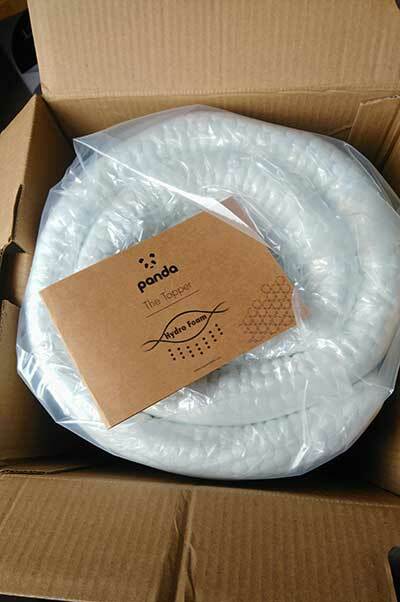 Panda have taken the problems of traditional memory foam and totally solved them leaving you with a fantastic mattress topper. But one of the most incredible things is that they have a massive 10-year guarantee on their topper! That is totally unheard of and provides incredible value for money. That’s longer than some mattresses will last. Hot Sleepers – If you’re a hot sleeper or are prone to night sweats you’ll love the cooling aspect. Couples – Memory foam absorbs movement so if you have someone else in the bed you won’t feel them moving about. People With Back Pain – The memory foam provides excellent pressure relief and support right along your back and you’re neck. You can’t fault the Panda mattress topper, all the support of memory foam with a breathable cover and a cooling Hydro Foam layer. Perfection. Click Here To Check The Price And Order Yours Today! Hi there, I am kinda at a loss here and don’t know what to do. My son 9, is insanely hot at night. I’ve tried just a sheet but it doesn’t have the weight 9 a good duvet and he can’t snuggle, then I got a ,at tress topper, then I tried 1.5 tog. I didn’t know if here was a smaller tog? I’m thinking of buying the panda mattress topper. ? The thing is he’s always moaning he’s cold . But then I need to go in and strip him down. I’ve tried opening windows and air purifiers. Nothing seems to chill him out. Hi Allison, I’m sorry to hear that, sounds very uncomfortable! If he’s getting that level of night sweats then I don’t think this topper will help enough, it’ll help some but this sounds like quite an extreme case. It’s actually something I tend to get, especially if I’ve recently been ill and I’ve found the only thing that really helps is sleeping ontop of a towel, or when it’s really bad between two towels with the duvet on top. That way at least you don’t have to change the bedding and it doesn’t get soaked through. Very strange though, sorry I can’t be of more help.